The following article which is being published by Dr. Charles Figley in the journal “Traumatology” provides a plausible explanation from the perspective of western science of the mechanisms at work in acupressure-enhanced psychotherapy. The author provides salient observations that may account for the remarkable effectiveness that clinicians routinely report who work with this energy psychology paradigm. I wish to express much thanks to my friend Ron for writing this paper and for allowing it to also be published on this website. Ronald A. Ruden, M.D., Ph.D.
A new therapy for phobias, PTSD, addictive behaviors and other psychological issues was first described by Dr. Roger Callahan and involves thought activation of the problem followed by tapping on certain acupoints in a specific sequence. In addition, a gamut procedure involving further tapping, eye movements and following simple commands is used. He calls his method Thought Field Therapy. In most cases, the problems were reportedly cured in a matter of minutes. We theorize about the neuroanatomical and neurophysiological mechanisms underlying the success of this technique. We propose that tapping and other sensory stimulation procedures globally increase serotonin. The important structures specifically involved in this therapy are the prefrontal cortex and the amygdala. The success of this technique requires that glutamate first be increased in the circuit that involves the conditioning stimulus and the unconditioned stimulus. This analysis does not define sequences for tapping. We suggest the name Psychosensory Therapy to encompass this specific treatment as well as to define a broader new paradigm for the treatment of these problems. More than a decade ago, Callahan found that tapping under the eye of an individual with a water phobia immediately and permanently cured this problem (Callahan, 1997). Callahan believes that activating a distressful thought produces a perturbation in the energy field that surrounds the body. His model is based on traditional Chinese medicine, that is, when energy flow is disturbed a person becomes ill. By tapping on specific traditional Chinese medicine acupoints in a specific sequence these perturbations in the energy ‘Thought Fields’ resume normal functioning and healing occurs. He calls his method Callahan Techniques-Thought Field Therapy (CT-TFT) (Callahan 1995, 2001). Variations on this therapy have been developed and are available as web based documents. These therapies constitute a field called Energy Psychology. From an observational point of view, when TFT is applied, it literally appears that a dimmer switch has been thrown. After a successful treatment, as measured by a decreasing SUD that ultimately reaches 1or 0, (Subjective Units of Distress, a 0-10 scale where 0 is none and 10 extreme distress as reported by the patient) (modified from Wolpe 1958) thoughts that had been clear were less so. Not only does the ability to generate a clear image diminish, the response to that thought is often gone, and for good! Sometimes the individual feels euphoric, sometimes confused as to what happened, but always calmer. A large study that involved over 29,000 patients was conducted using these procedures. The results (Andrade & Feinstein 2003) are remarkable. For a wide range of problems, such as specific phobias, panic disorders, post-traumatic stress disorders, acute stress disorders, and anxiety-depressive disorders this method was deemed successful by independent evaluation in 76% of the subjects. Also, in this category were a variety of painful emotional states including grief, guilt, anger shame, jealousy, rejection, and other painful memories. These techniques also seemed to help impulse control disorders and cravings. These researchers noted that most of the treatments did not require the special protocols developed by Callahan (1995), rather they found that for most disorders one sequence sufficed. Fear, anger, grief, depression, anxiety, aggression, cravings and other emotions represent a complex neurophysiological response that involves both cortical and subcortical systems. There are many ways to alter these systems. These methods include the psychotherapies, phamacotherapies, yoga, meditation, electro-convulsive shock, acupuncture, hypnosis, psychosurgery, EMDR, stem cell implantation, biofeedback, systematic desensitization, neuroloinguistic programming and others. We make the assumption that the mind is what the brain produces and therefore these methods must variously affect the brain’s electrical activity, the concentration of neurochemicals, the threshold to neuronal activation and the neural connections that are available. By its effects we judge that TFT calls forth similar responses. A neurobiological model should be able to explain several characteristics of this therapy. Firstly, why is it necessary to activate the distress before it can be treated? Secondly, why is the treatment specific, that is, if an individual has a snake phobia and an elevator phobia these problems need to treated separately? Thirdly, why does the same protocol work for many different problems? Fourthly, why does the distress appear to diminish during tapping as measured by a decreasing SUD? Fifthly, what is the transduction event that converts tapping into a biological event in the brain? Lastly, how does this treatment produce a rapid and sometimes permanent change in an individual’s response to the distressful thought? Of all the emotional states we experience, none is more primitive or powerful than fear. If we understand how a fear response is disrupted, we may be able to understand how tapping works. For a model of fear we chose phobias. Fear produces responses that are characteristic, easily recognized and involuntary. Evolution has crafted these responses to promote survival in the face of present and future threats. However, an inappropriate fear response, such as a phobia that provides no evolutionary advantage, causes physiological changes that can produce distress and dysfunction. Phobias are characterized by a persistent, irrational and excessive fear of objects or situations. Since there is no real imminent danger associated with these objects or situations, they can be considered conditioning stimuli (CS). Phobias can be associated with anything: bugs, colors, numbers, light, dark, bridges, tunnels, elevators and planes. Not everyone develops a phobia. It has been suggested that a special genetic and environmentally modulated neurobiological landscape is necessary to encode a phobia. (Gapenstand & Anns & Ekbolm & Oreland & Fredrikson. 2001). This unique moment during phobia encoding would be almost impossible to reproduce. Treatment that disrupts the encoded phobic response may therefore extinguish it forever. 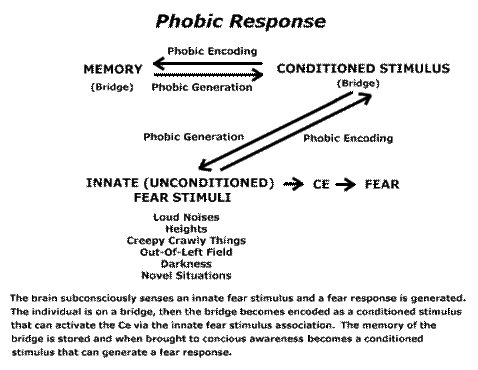 Phobias are learned and as such are fundamentally different than responses to an innate (unconditioned) fear stimulus. A fear response (FR) occurs by exposure to an innate fear stimulus. Such stimuli, which are reflective of the fear of being killed, are hard wired in the brain and include: fear of the unknown (novel situations), heights (falling), closed spaces (being trapped), open spaces (no place to hide), creepy crawly things (land based predators) and something coming out of our visual fields (air based predators). These survival stimuli do not reach consciousness because details are unimportant, only the emotion of fear is experienced and responded to. Avoidance is mandated. Accordingly, the thalamus, which is the first sensory connection in the brain, has direct projections to the amygdala (Doron & LeDoux, 1999). An innate (unconditioned) fear stimulus leading to a FR in the presence of another object or situation sets the stage for the generation of the phobia. For example, traveling over a bridge (CS), one might look down and see the height (UFS). It is the height that causes you to become fearful. This occurs at the subconscious level; one is not immediately aware why you are frightened, however, since you are consciously aware that you are on a bridge, if the neural landscape is primed, the bridge then becomes associated with the fear response. Thus, when you bring an image of a bridge to consciousness, you become fearful. (Fig. 4) It is important to note that not all CS that are involved with fear responses reach conscious awareness. Thus, in Panic Disorder and PTSD much of the conditioning stimuli remain in the subconscious. 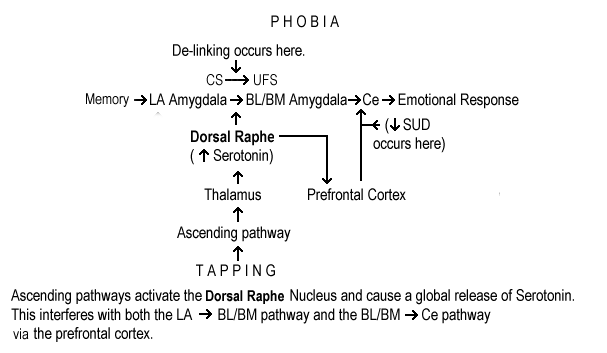 These subconscious CS can still produce a fear response through the final common pathway, the amygdala. It is the biological consequences of this response that make us remember. One laboratory model for the study of phobias and its treatment is Pavlovian fear conditioning and extinction (Maren, 2001). Fear conditioning occurs when a conditioning stimulus (CS), generally a tone, is followed by and unconditioned fear stimulus (UFS), generally a mild foot shock. Conditioned fear requires learning and produces a stereotypical freezing behavior that can be measured and used for research purposes. After several pairings of the tone with shock, the animal comes to react with fear to the tone (CS), just as the bridge (CS) was able to produce fear. It is the anticipation of the shock (the tone) that produces the fear, not the shock itself. However, unlike phobias, conditioned fear is an appropriate response designed to increase survival. This association is felt to be stored in the BLA. Research data suggests that glutamate agonists enhance learning and glutamate antagonists inhibit the learning of the fear response in mice (Myers & Davis 2002). Glutamate, an excitatory amino acid, is involved in activating genes that are necessary for memory storage and retrieval (Reidel & Platt & Micheau 2003). These genes alter the wiring and firing of neurons. This implies that glutamate is released locally (Tsvetkov & Shin & Shakov 2004) where learning takes place. GABA, an inhibitory amino acid, inhibits glutamate and, as such, GABA agonists inhibit fear conditioning and GABA antagonists accelerate it (Myers & Davis 2002). Another model for phobias is called Passive Step Down Avoidance. Here an animal is placed on a platform that begins to vibrate. The animal becomes fearful and attempts to escape by stepping down onto a grid. The grid is electrified and gives a shock to the animal and the animal returns to the platform. When the animal remains on the platform for a preset time, for example, 5 minutes, the animal is considered trained in step down avoidance. Here, too, glutamate agonists enhance (Liang & Hu & Chang 1996) and GABA agonists inhibit (Castellano & Pavone 1988) learning. While a phobia and the various conditioned fear paradigms are encoded differently, the association between the CS and the UFS in the amygdala leads to activation of the Ce and a fear response. Experiments that extinguish this response may therefore be of help in understanding tapping. Removal of a fear response to a conditioned stimulus can be accomplished by several methods. One laboratory model uses a technique called extinction training. Here, exposure to the CS is not paired with the UFS. During this training, learning takes place. These new pathways lead to a decrement in the fear responses. Extinction does not appear to be simple forgetting (where no, non-reinforced CSs are presented) because if extinction training is carried out so that the CS no longer produces the FR, spontaneous recovery (recovery of response over time), renewal (recovery of response when CS is presented in a novel environment), or reinstatement (recovery of response after presentation of UFS under the situation where the UFS/CS link was forged) can occur over time. Thus, the link between the CS and UFS remains intact. For humans, extinguishing of a phobia has been studied with a technique called Systematic Desensitization (Wolpe 1958). This approach is similar to extinction training. (Davi & Myers, 2002). The medial prefrontal cortex appears to modulate responsiveness during extinction training. Recent research has shown that stimulation of the medial prefrontal cortex reduces the outflow of the Ce of the amygdala by gating BLA to Ce pathway. (Quirk & Likhtik & Pelletier & Pare 2003) (Fig 5). This has been ascribed to a connection between the prefrontal cortex and a group of inhibitory neurons intercalated between the BLA and the Ce. (Pare D, Royer S, Smith Y, Lang EJ 2003). Here, if danger is present, as evaluated by the prefrontal cortex, then an inhibitory signal is sent to the inhibitory GABA neurons in the amygdala. If danger is considered minimal or absent, such as during extinction training or desensitization, then the prefrontal cortex becomes unavailable to send a signal to these GABA neurons, allowing for activation of these inhibitory neurons and blocking the Ceàbrainstem transmission (Sotres-Bayon, F, Bush DEA, LeDoux JE. 2004). This process makes sense in that it allows for conscious evaluation of danger. Desensitization, like extinction, does not affect the encoding, as it leaves the CS to US (stored in the BLA of the amygdala) pathway intact, allowing for reinstatement, renewal and spontaneous recovery to occur. Here as well, glutamate enhances and GABA diminishes the effectiveness of extinction training (Davis M, Myers KM. 2002). These results are critical in understanding the decrement in distress seen during tapping and sensory stimulation. Using this information, we would like to speculate about a potential mechanism for tapping of the fear response. The tapping protocol begins with imaginal re-activation (affect activation) of the feared object (modified from Callahan 2001) (Fig. 6). We believe that ‘affect activation’ is the critical aspect for success of this method. One needs to elicit the actual target emotions, in vivo, in order to interrupt the pathway. During affect activation, we propose that glutamate is locally released in areas corresponding to the neural circuit that initially encoded the conditioned fear. Without local release of glutamate, no amount of tapping or sensory stimulation will be effective. We hypothesize that multi-sensory stimulation (tapping, massage, eye movement, etc.) causes a generalized release of serotonin via ascending pathways. This release is non-specific and global, that is, it is not related to the content or context of the feared object. (Fig. 7). This release is different than that seen by desensitization or extinction training that alters serotonin levels in the prefrontal cortex. (Santini, E, Ge H, Ren K, Pena De Ortiz S, Quirk, GJ 2004) Multi-sensory stimulation affects the entire brain including the amygdala and prefrontal cortex. During sensory stimulation, two events can occur. We postulate that serotonin decreases the inhibitory signal from the prefrontal cortex to the intercalated neurons and allows for GABA release. Ce outflow to the brainstem is inhibited and the patient experiences a decrease in distress (decreased SUD during treatment) (Figs. 5 &8). It is again important to note that both the memory, as stored in the cortex and the connection between the CS and the UFS remain intact. This allows for renewal, reinstatement and spontaneous recovery. Simultaneously, serotonin causes GABA release via serotonergic receptors in the BLA. This combination, GABA and serotonin, inhibits glutamate from activating protein synthesis, preventing the re-storing and thus de-linking the CS to UFS pathway in the amygdala. This blockade prevents the ultimate re-activation of the Ce and the fear response (Fig. 9). To better understand this de-linking, imagine your amygdala is like a beach filled with holes (CSs). Just before a specific thought activates an affective (fear) response, a certain hole in the BLA fills with glutamate. This then links with a UFS and sends a signal to the Ce. During sensory stimulation (tapping protocol), when a serotonin wave flows in, GABA is released and the glutamate filled hole and only the glutamate filled hole interacts with the serotonin and solidifies (protein synthesis is inhibited and the link to the UFS is disrupted,). Since the hole is now gone, the ability to re-activate that CS to UFS link is lost. It suggests that phobias are stored not in the cortex (memory), but in the CSà UFS connection in the BLA. This also explains the broad-based effectiveness of this therapeutic approach. All holes on the beach can interact with serotonin when activated. However, since only one hole can be activated at a time only one thought leading to activation of a CS can be de-linked. Thus, bringing a phobia to consciousness activates a specific glutamate driven circuit that produces a fear response. Sensory stimulation (tapping protocol) raises serotonin and GABA is released in the areas where the CS/UFS association is encoded, and the prefrontal cortex. This decreases the distress by directly blocking Ce outflow and can de-link the CS/UFS connection. After successful treatment, the ability to generate a sharp picture of the CS is diminished because the efferent transmission from the Ce, that increases salience, does not occur. The relationship between central neuromodulation and activation of peripheral sensory receptors is of critical importance and has been studied by the use of electro acupuncture (EAc). Significant improvements were observed in psychological functioning and pain modulation from patients treated with EAc (Chen 1992). Furthermore, the effect of EAc was attenuated after biosynthesis of serotonin was reduced or by specific central serotonin receptor blockade (Chang & Tsai &Yu & YI & Lin 2004). Thus, a connection between peripheral receptors, serotonin and behavior has been demonstrated. How sensory stimulation (tapping protocol) is transduced to a rise in serotonin and GABA remains uncertain, but a simple mechanical process involving sensory receptors has been proposed (Andrade and Feinstein 2003). This model suggests that activation of the affect followed by sensory stimulation provides a neurobiological basis for this approach. This model provides an outline that addresses the permanence, specificity, ability to generalize to other types of affective problems (via amygdala de-linking) and the temporal relationship between activation of the affect and a successful treatment. In addition, decreased prefrontal activity secondary to increased serotonin accounts for the observed decrease in distress during treatment. Animal studies have confirmed experimentally the relationship between activation and the ability to permanently disrupt a fear response. If we consider UFSàCe the final common pathway then de-linking the CSàUFS allows us to understand the ready treatment of different phobias, PTSD, and other primary amygdala based emotional states. This model does not address other remarkable claims made by practitioners, namely surrogate tapping, where the therapists tap themselves and the patients is healed, and distance healing. Current knowledge of biology and physics cannot explain these observations and we await a more comprehensive theory. Nonetheless, the majority of what we observe can be understood in this simple model. For phobias, PTSD, panic disorder and other emotional states the amygdala is the final common pathway. 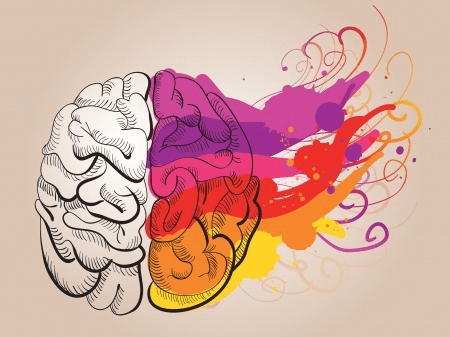 For disorders such as OCD, addictive cravings, depression, generalized anxiety, the amygdala is one of many inputs to other part of the brain that affect these behaviors. Thus, OCD has an abnormally functioning caudate nucleus and addictive cravings have an abnormally functioning nucleus accumbens. For example, affect activation followed by sensory stimulation of an individual for an addictive craving produces only a short-lived (hours to days) benefit. This procedure does not change the underlying dysfunctional system that produced the behavior, only that specific connection that produces a Ce efferent signal. The underlying dysfunctional systems are permissive stressors that continually activate the amygdala for re-learning and relapse. Treatments that seek to correct the dysfunction either by medications, psychosocial intervention, or removing amygdala based (such as PTSD) problems therefore becomes important. Among the major controversies present in the field of Energy Psychology, of which TFT is representative, is the location and sequence of tapping. While the neurobiological model does not require a specific sequence of tapping, sensory receptor density (location where you tap) may affect the rate and intensity of serotonin release. It is possible that any stimulation that affects the serotonin system can be used. Thus, tapping, acupuncture, humming, mind-full meditation, cognitive tasks, eye movements and other sensory modalities that require focus (hence decreased activity from other parts of the brain) may be useful to raise serotonin after affect activation. It is interesting to speculate why serotonin reuptake inhibitors are useful in the treatment of primary amygdala based disorders (PTSD, phobias, panic disorder and other emotional states). It is possible that the SSRI’s, by increasing serotonin, alter the brain’s ability to process information. (Spoont 1992). This may prevent glutamate release in the amygdala or allow for the prefrontal cortex to send a no-danger signal to the intercalated neurons. Return of these psychological problems after removal of the drug (unless the problem is dealt with in another way) is usual. Current treatment for emotional disorders can be classified into two major categories or pillars, psychological (mind to brain) and pharmacological (drug). The psychological treatments encompass hundreds of approaches that involve talking, exploring and thinking that are content specific. Pharmacotherapy alters brain functioning by the introduction of chemicals based on a particular diagnosis. The approach outlined above, involving appropriately timed non-specific sensory input to the brain, changes both neurotransmission and neuromodulation that alters connectivity. By doing so it affects memory retrieval and response. This specific therapy can be considered part of a broad new third pillar. We suggest this pillar be called psychosensory therapy, the application of sensory input to alter behavior, mood and thought. Other therapies that can be included are yoga, exercise, EMDR, music therapy and many others. Future research will better define this field. This paper outlines a mechanism by which a potent, content specific and a non-specific intervention are combined to produce a powerful treatment modality. We would suggest that these specific treatments be called Affect Activation/Sensory Stimulation (AA/SS) based on the process. We can now argue that certain disorders, especially those rooted in feelings of anxiety or a traumatic event, can be treated by this new therapy. Animal and human research, strongly suggests that real or imaginal activation of an emotional response to a thought appears to make the response labile, subject to disruption. When activation is followed by a simple procedure the emotional response to the event appears to have vanished, often for good. If one uses this model for therapy, uncovering that primal event from which the emotion arises becomes the goal. For all three pillars, however, it is the skill of the therapist that remains critical for success. There is no easy road to treat complex psychological disorders but a new approach can now be offered to aid in reducing distress for our patients. Blanchard DC, Blanchard RJ. (1972). Innate and conditioned reactions to threat in rats with amygdaloid lesions. J. Comp. Physiol. Rev. 81:281-90. Callahan R. (1997) Thought Field Therapy: The Case of Mary. Traumatology, 3:1; Article 5. Callahan R. (2001). Tapping the Healer Within. Contemporary Books, Chicago Ill.
Castellano C, Pavone F (1988). Effects of ethanol on passive avoidance behavior in the mouse: involvement of GAGergic mechanisms. Pharmacol Biochem. Behav. 29(2):321-4. Chang FC, Tsai HY, YU MC, Yi PL, Lin JG. 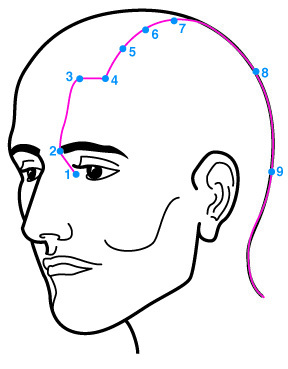 (2004) The central sertononergic system mediates the analgesic effect of electroacupuncture on ZUSANLI (ST36) acupoints. J. Biomed. Sci 11(2):179-180. Chen A. (1992). An introduction to sequential acupuncture (SEA) I the treatment of stress related physical and mental disorders. Acupunct. Electrother. Res. 17(4): 273-83. Cousens G, Otto T. (1998). Both pre- and post-training excitotoxic lesions of the BLA abolish the expression of olfactory and contextual fear conditioning. Behav. Neurosci. 10:1062-1069. Davis M, Myers KM. (2002). The role of glutamate and gamma-aminobutyric acid in fear extinction: Clinical implications for exposure therapy. Biological Psychiatry 52:998-1007. Doron NN, LeDoux JE. (1999). Organization of projections to the lateral amygdala from auditory and visual areas of the thalamus in the rat. J Comp Neuro. 412(3):383-409. Fibiger HC, Lepiane FG, Phillips AG. (1978). Disruption of memory produced by stimulation of the dorsal raphe nucleus. Mediation by serotonin. Brain Res. 155:380-386. Gapenstrand H, Annas P, Ekbolm J, Oreland L, Fredrikson M. (2001). Human fear conditioning is related to dopaminergic and serotonergic biological markers. Behav. Neurosci. 115:358-64. LeDoux JE,Cicchetti P, Xagoraris A, Romanski LM. (1990). The lateral amygdaloid nucleus: sensory interface of the amygdala in fear conditioning. J. Neurosci. 10:1o62-69. Liang KC, Hu SJ, Chang SC. (1996). Formation and retrieval of inhibitory avoidance memory: differential roles of glutamate receptors on the amygdala and medial prefrontal cortex. Chin. J. Physiol. 39(3):1555-66. Maren S. (2001). Neurobiology of Pavlovian fear conditioning. Ann. Rev. Neurosci. 24:897-931. Muller J, Corodimas KP, Feidel Z, LeDoux JE. (1997). Functional inactivation of the lateral and basal nuclei of the amygdala by muscimol infusion prevents fear conditioning to an explicit conditioned stimulus and contextual stimulus. Behav. Neurosci. 111:683-691. Myers KM, Davis M. (2002). Behavioral and neural analysis of extinction. Neuron 36:567-584. Nader K, Schafe GE, LeDoux JE. (2004). Fear memories require protein synthesis in the amygdala for reconsolidation after retrieval. Nature 406:722-726. Pare D, Royer S, Smith Y, Lang EJ. (2003). Contextual inhibitory gating of impulse traffic in the intra-amygdaloid network. Ann. N.Y. Acad. Sci. 985:78-91. Phan KL, Wager TD, Taylor SF, Liberzon I. (2004). Functional neuroimaging of human emotions. CNS Spectrum 9(4)258-66. Quirk GJ, Likhtik E, Pelletier JG, Pare D. (2003). Stimulation of medial prefrontal cortex decreases the responsiveness of central amygdala output neurons. J. Neuroscience 23(25):8800-7. Reidel G, Platt B, Micheau J. (2003). Glutamate receptor function in learning and memory. Behav. Brain Res. 140:1-47. Sah P, Faber ES, Lopez De Armentia M, Power J. (2003). The amygdaloid complex: anatomy and physiology. Physiol. Rev. 83(3):803-34. Santini E, Ge H, Ren K, Pena de Ortiz S, Quirk, GJ. (2004). Consolidation of fear extinction requires protein synthesis in the medial prefrontal cortex. J. Neurosci. 24(25)5704-10. Spoont, M. (1992). Modulatory role of serotonin in neural information processing: Implications for human psychopathology. Psychopharm. Bull. 112(2):330-350. Sotres-Bayon F, Bush DEA, LeDoux, JE. (2004). Emotional Preservation: An update on prefrontal–amygdala interactions in fear extinction. Learning and Memory. 11:525-535. Stutzman GE, LeDoux JE. (1999). GABAergic antagonists block the inhibitory effects of serotonin in the lateral amygdala: A mechanism for modulation of sensory inputs related to fear conditioning. J. Nerurosci. 19(11)RC8. Tsvetkov E, Shin RM, Bolsakov,VY. (2004). Glutamate uptake determines pathway specificity of long-term potentiation in the neural circuitry of fear conditioning. Neuron 41(1):139-51. Wolpe J. (1958). Psychotherapy by reciprocal inhibition. Stanford University Press, Stanford, Ca.